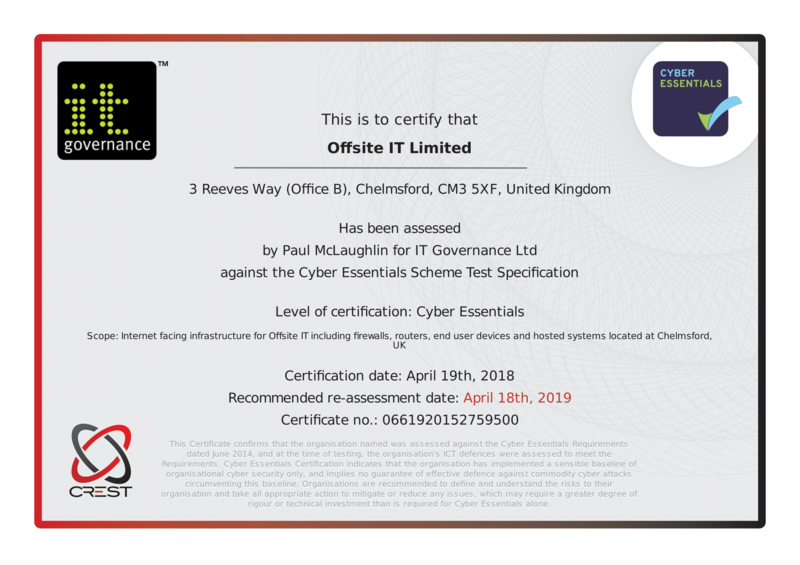 Offsite IT have successfully been awarded the Cyber Essentials certification. The data we hold is important to us and our customers, we obtained this certification as evidence that we take security of our systems and our customers systems very seriously. No doubt you’ve read the recent news that NHS services across England have been hit by a large-scale cyberattack and they have elected to protect their IT systems by shutting them down as a precaution. Offsite I.T Limited earns distinction through commitment to academic customers.